Monarch Landscape Holdings plans to come out of the gates quickly, making several more acquisitions by the end of 2015. 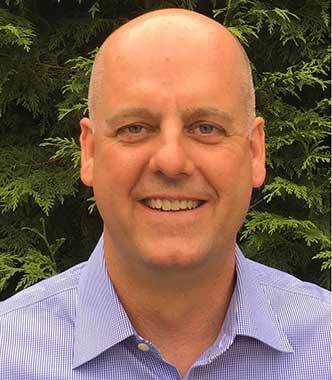 Monarch is a new, private equity-backed firm formed by ValleyCrest Cos. veteran Brian Helgoe. His sights are set on consolidating landscape companies on the West Coast. Last month, Monarch made its first purchase when it bought Signature Landscape Services, a Redmond, Wash.-based company with 150 to 200 employees. The company declined to share revenue figures. Helgoe, who serves as CEO of both Monarch and Signature, expects to complete two or three more acquisitions by the end of the year. “We want to find mid-sized, $10 million to $50 million, primarily maintenance companies that have a reputation for customer service, quality and a tenured management team that’s excited about the opportunity to build and become part of a regional company,” he said. When asked about comparisons to others that have tried to consolidate landscape companies in the past, such as TruGreen LandCare in the late 1990s, Helgoe said Monarch is different. The latter will be accomplished with noncompete agreements, Helgoe said. In five years, the goal is to be “a significant regional competitor on the West Coast,” he said, although he declined to provide a revenue target. Helgoe has a background in both horticulture and business, including nine years at ValleyCrest. He got his start working at the University of California-Riverside’s Botanic Gardens as an undergrad student and “fell in love” with gardening. Next, he worked for five years at Filoli, a site of the National Trust for Historic Preservation, as lead horticulturalist. From there he went to business school at The University of Pennsylvania Wharton School and made a stop at McKinsey & Co., then landed at ValleyCrest in 2005. At ValleyCrest he did stints in the residential, maintenance and construction divisions, before becoming vice president of operations for ValleyCrest Landscape Development and then vice president of the maintenance division’s Mountain and Northeast regions. Helgoe left the company in July after its merger with Brickman. He declined to provide details of the separation, but he said he considered a few options in the landscape industry before seeking out a private equity fund to help create a regional landscape company on the West Coast. Once he identified One Rock Capital Partners as his private equity partner, he started looking for companies to acquire. He was connected to Signature by business broker CCG Advisors, which specializes in the landscape industry. Additionally, he said the Pacific Northwest was an ideal entry point because it’s a fragmented, high-margin market. Mark Henning and his partners at Signature decided to seek exit opportunities last year. They spoke with several other buyers before agreeing to sell to Monarch. 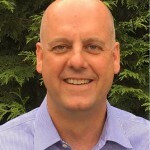 Henning and former General Manager and partner Greg McDonald stepped back from the company a month ago. Former partner Doug Hart will stay on for six to nine months to assist with the financial transfer, and former partner Linda Fox will remain with Signature to handle marketing. Will Bailey, former operations manager, is now Signature’s general manager and has an ownership stake in the company. Henning agrees that Monarch will be different from others that have pursued consolidation strategies in the landscape industry.